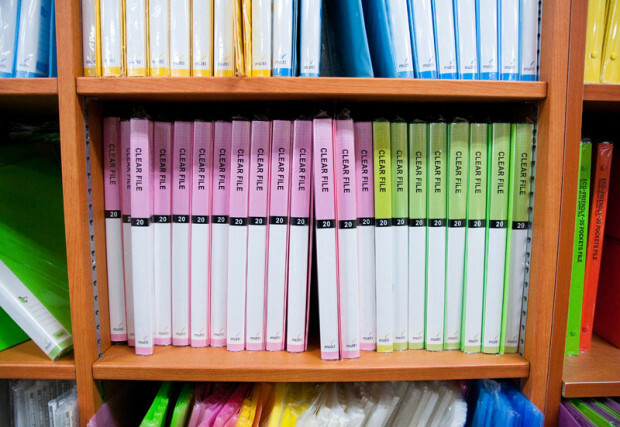 For many reasons, you may find yourself in need of a stationery store. Whether you need some writing paper, cute gifts to send home, or prizes for your students, Jochiwon is more than able to meet your needs. For a small town, we have a large surplus of stationery stores. 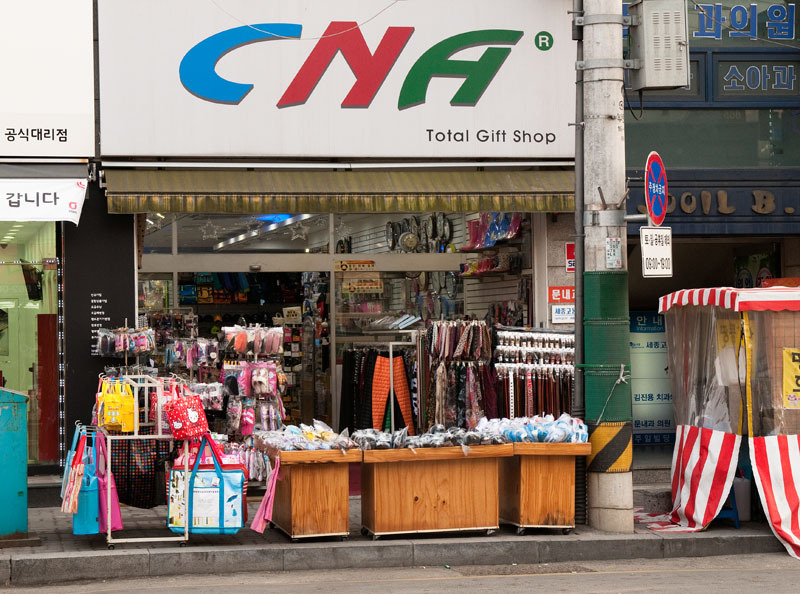 Some are a cross between a stationery store and a gift store, like CNA and Alpha Mart. 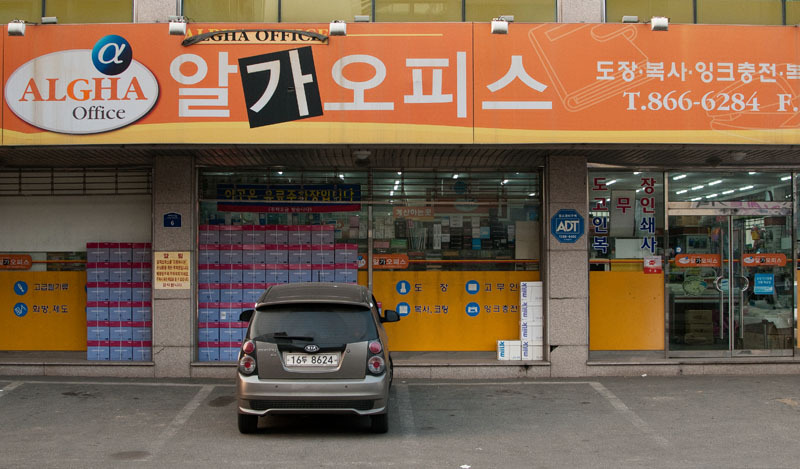 Other stores, like Algha Office and Dream Depot, are a cross between stationery and office supply stores. This is a two-level stationery store which contains both stationery and art supplies. On the top level there are sketchpads, paints, and scrapbook accessories. On the lower level there are notebooks, pushpins, markers, crayons, origami paper, and stickers. They also have ink pads, diaries, and staplers, along with many other office supplies. The section near the entrance seems to be a rotation of seasonal supplies from Christmas decorations to various toys and plants. To get to Algha, walk under the tunnel from Ook-il apartments towards downtown Jochiwon. When you come out the other side walk straight until you come to the corner with traffic lights. 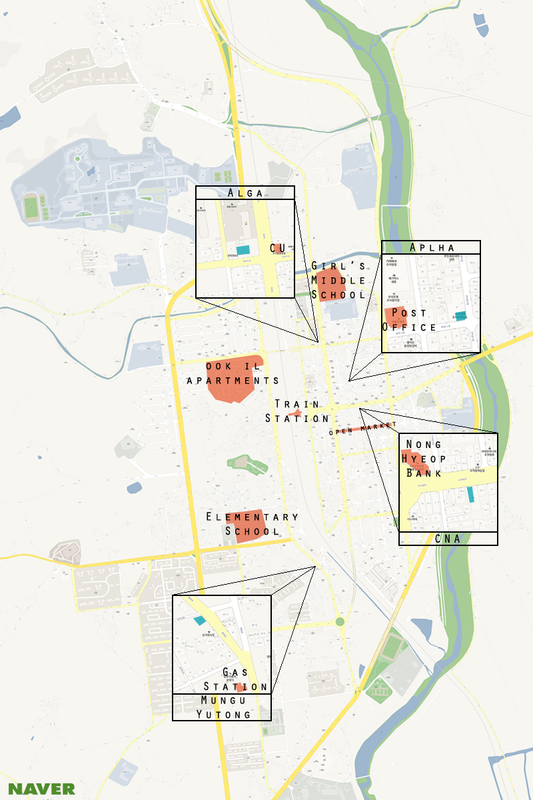 Algha Office will be on your left. From Jochiwon Train Station, walk straight until you get to the roundabout by Nonghyup bank, turn left and walk until you get to the traffic lights after the Post Office and Megabox. Turn left and Algha Office will be on your right-hand side. 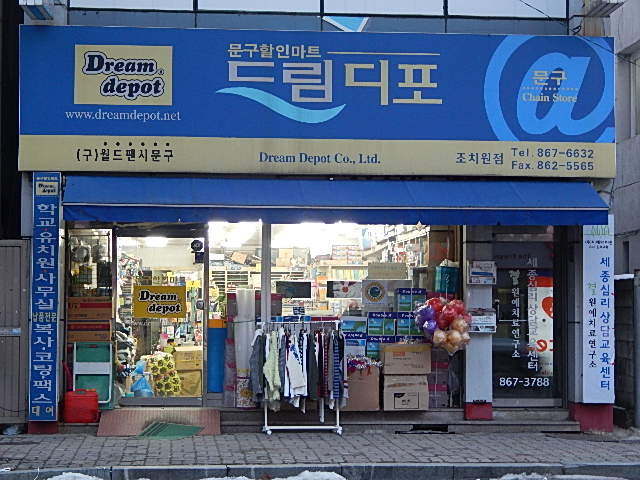 Opening hours: 7:40 a.m. – 8:00 p.m.
Dream Depot is a compact stationery store located very near the tunnel which links downtown Jochiwon to the Ook-il area. This stationery store doesn’t have much in the way of gifts, but it’s packed to the brim with everything from paper to glue and stickers to pipe cleaners. For a small shop they have an impressive amount of craft paper including traditional Korean paper, which can be found at the back of the shop. Because of the wide variety of crafting supplies, Dream Depot is a good resource for craft projects with children or students. To get to Dream Depot, walk under the tunnel from Ook-il apartments towards downtown Jochiwon. When you come out the other side, walk straight until you come to the traffic lights and Algha Office. Turn right, and Dream Depot will be on the right. 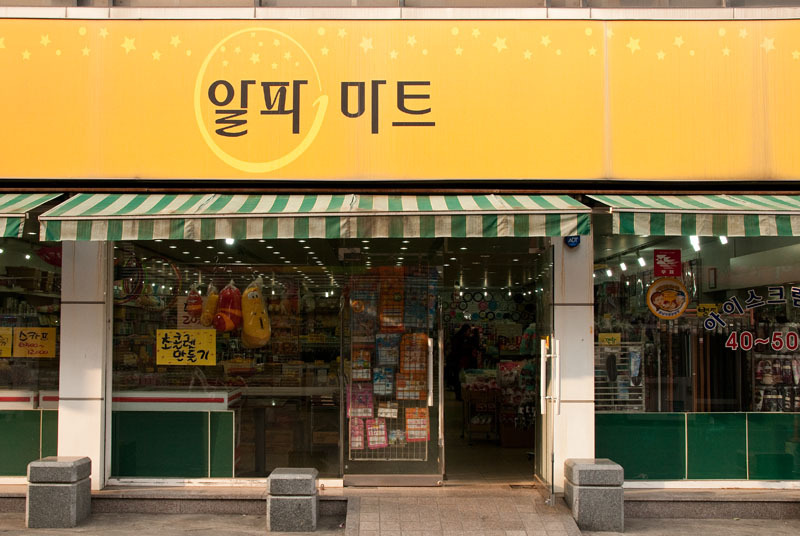 Starting at Jochiwon Train Station, walk straight until you get to the roundabout by Nonghyup bank, turn left and walk past the post office and Mega Box. Dream Depot will be on your left. Opening hours: 9:00 a.m. – 8:00 p.m. This store is located downtown, and is a bigger version of CNA. You can buy slippers for work, alarm clocks, jewelry, umbrellas, novelty cups, lighters, and a milieu of notebooks, origami paper, markers and crayons. To get to Alpha mart, walk straight going away from Jochiwon Station, turn left at the roundabout by Nonghyup Bank. Cross the street at the post office and continue walking straight past the post office. Alpha Mart will be on your left. Opening hours: 9:30 a.m. – 9:30 p.m. This is a stationery store near Jochiwon Station and the traditional market. While mainly a gift shop with quirky backpacks, socks, costume jewelry, and photo frames, this shop also has a small selection of notebooks, paper, pens and pencils. You can get to CNA by walking straight from the train station past the roundabout by Nonghyup Bank. CNA is located on the right hand side of the street opposite Tous le Jour. If coming from Sejong City on bus 500, 550, 601 or 620, get off at the stop for the Traditional Market/시장. From that stop, walk straight until you come to a roundabout. Turn right and walk straight for 1.5 blocks. CNA is opposite Tous le Jour. 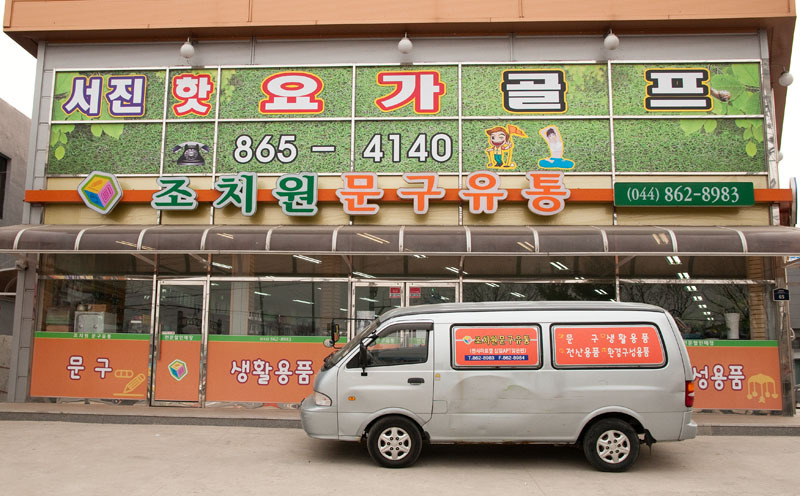 This stationery store is quite close to Homeplus, and so further afield than the rest of the stationery stores. Nevertheless, it’s similar in size and style to Algha Office and Alpha Mart. You can get paper, craft items, and some gifts, including board games. They also have a good selection of general office supplies including folders, printing paper, stamps, and inkpads. The best way to get here is by bus. On bus 500, 550 or 601, coming from Sejong City , get off at 죽림리 (Juk-lim-ri), just one stop after Homeplus. Cross to the left hand side of the street, and stay on the left going past the roundabout and Kmart. Keep walking straight and Mungu Yutong will be on your left, before you reach a a Nonghyup Bank at a large intersection. Take bus 620, coming from Sejong City, past 대동초등학교 (Daedong Chodeung hakkyo) . Once you pass Daedong Chodeung hakkyo, the bus will take the next right up a slight hill. As soon as it turns, press the bell and get off at 세종 시청 (Sejong Si Cheong/City Hall) and walk back in the direction the bus came. Turn right and walk straight until you come to the intersection with the big church on your left and Nonghyup on your right. Turn right and the stationery store will be on your right. To walk to this stationery store from the Ook-il area, go to Ook-il bridge, and instead of crossing it, walk underneath turning right. Go straight past the intersection with Nonghyup Bank and the big church. Mungu Yutong is just past Nonghyup bank on the right. Opening hours: 9 a.m. -9 p.m.